MANY PEOPLE SEE THE DEFINING GOAL of John Barnes’ career as the one he scored for England in Rio de Janeiro, at the Maracanã against Brazil, in June 1984. While undoubtedly a fine goal, it wasn’t one that changed much in the life and career of Barnes. For a footballer who never quite hit the same heights at international level as he did in the club game, that goal is deemed by some to have been more a curse than a blessing. Barnes himself once stated that he never saw it that way, however. There tends to be a lack of appreciation of that wonderful goal at the Maracanã. Detractors will express upon the lack of a challenge from Brazil’s players, as Barnes meandered with intent into their penalty area. The argument against the brilliance of that goal is disingenuous. It is an argument that seems rooted within an agenda. To this day, Barnes goes under-celebrated when you consider the talent he possessed. Sometimes, his contribution to the game of football is actively downplayed. There is another goal that defines Barnes much more accurately. A goal that broke prejudices; a goal which helped remove some generationally-constructed divisions; a goal that set the tone upon a title-winning season; a goal with rich and bewitching beauty; a goal that won him the everlasting devotion of at least one set of football supporters. Dateline: October 1987. Picture: Anfield Road and the visit of Queens Park Rangers. Liverpool are leading 3-0 and the game is approaching the final five minutes. The home side are toying with their disorientated guests from West London. The stadium is still crackling like a Geiger-counter due to the manner of the third goal, which has been scored five minutes earlier, a goal dispatched by Barnes, side-footed into the top right-hand corner of the Kop end goal, but one which owed much to a spectacular piece of footballing sleight-of-hand from Ronnie Whelan that took no fewer than five QPR players out of the equation. If the third goal had shook the rafters, then the fourth moved the earth. Dispossessing Kevin Brock on the halfway line, Barnes advances and three further touches of the ball takes him towards the penalty area. Right foot, left foot, right foot, as if the ball is a natural extension of his body. From 25 yards out, Barnes transcends the laws of natural movement. Alan McDonald lunges forward, going to ground right foot first, as Barnes moves the ball to his left with the instep of his left foot. He is now a low-flying footballer and minimally clears McDonald, who skims past beneath Barnes’ feet – the QPR defender raises his right leg high in a last-ditch attempt to stop Barnes, but the attempted foul is evaded. In mid-air, Barnes’ torso angles to his right, yet his hips direct his lower half to the left. He lands on his right foot, 20 yards from goal with Terry Fenwick coming across to cover him – the second of three central defenders lined up to take Barnes on in what had, until this day, been a secure and effective QPR sweeper system, which had been implemented at the start of the season by their manager Jim Smith. As Barnes lands he drags the ball back across his body with the inside of his left foot. It all looks effortless, yet is anything but. There is hard work in appearing effortless. It seems that Fenwick has sold himself cheaply, but against any other player he would have his bases covered. Fenwick turns quickly but Barnes has momentum, a momentum powered from a planted start. It makes little in the way of visual sense. Paul Parker is the third central defender and has been drawn to the right-hand side of the penalty area by the loitering John Aldridge. There is around 12 yards of space between Fenwick and Parker. A chasm has been created where very little space was previously afforded. It is hypnotic. Parker recognises the situation too late. He gains ground, but not quickly enough. From 12 yards, Barnes opens his body up and with eye-of-the-needle precision he rolls the ball between Parker, who closes from the right, and the advancing David Seaman in front of him. The perfect balance with which this manoeuvre is completed doesn’t seem possible. It almost seems an optical illusion. As the ball nestles in Seaman’s bottom left-hand corner, someone finally catches up with Barnes. Aldridge and Craig Johnston are the first to reach him in celebration. He is embraced by the astounded Whelan and Steve McMahon, as he jogs back to his own half for the restart. Peter Beardsley, who had shadowed Barnes’s burst for goal, eventually gets to him too. Seaman sits on the turf, rubbing his nose with the thumb of his right hand, taking a glance over his left shoulder, just to double-check the ball really is where he thinks it is. This was the pace-setting, league leading QPR whom Barnes and Liverpool had just dismantled. This was a Liverpool side that had been written off during the summer months when Ian Rush had left for Juventus and Kenny Dalglish was preparing to sideline himself as a playing option. 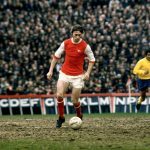 The purported one-footed Barnes had just scored two of the most artistic goals Anfield had ever witnessed, with his supposedly weak right foot. The game marked Barnes’s coronation as the new king of Anfield. It was something that barely seemed possibly a few short months earlier. Barnes’ arrival at Anfield had not lacked turbulence. Coveted for his skills but rumoured to be reluctant to move north, some Liverpool fans had taken against him before he even joined the club. Barnes was cast as a man who was using Liverpool to force the London clubs – or even clubs on the continent – to show their intentions towards him. In reality, Liverpool were the only club to make a formal bid and Barnes was more than happy to make the move. There was also something more unsettling at play. Barnes was Liverpool’s first major signing who also happened to be black. For some people of a narrow-minded nature, this was a red rag to a bull. The talented Howard Gayle had broken through the ranks at Anfield at the beginning of the decade but his star had risen only briefly and he had drifted away from the club long before the Jamaican-born winger’s arrival. Offensive graffiti had been daubed on walls and even some employees of the club had struggled to extend a warm welcome to the player. From an extreme minority, barely concealed hostility would at times bubble to the surface. A generation of unenlightened behaviour had made some of Barnes’ contemporaries display a blatant lack of comprehension. From his very outset at Watford and beyond, some teammates could be protective of Barnes, yet openly racist towards black players from opposing teams without seeing any relation between the two ideals. At its most extreme, Barnes would be on the receiving end of pure racism on his own training pitches. Barnes had long suffered abuse at various away grounds, just as other black players had too. There is an infamous photo of Barnes back-heeling a banana from the turf at Goodison Park. It was held up as the new all-shaming low, but the same occurrence had happened during his Watford days at Millwall and West Ham without public pronouncement. Barnes had been booed at Anfield as a visiting Watford player. This wasn’t a problem located to a small number of clubs: racism was endemic, and intolerances, if not constantly erupting, always simmered just below the surface. Barnes, however, was arguably the man who changed the preconceptions of a great number of people. He bridged two very different eras. He made his debut for Watford as a 17-year-old in 1981, helping the club to promotion to Division One for the first time in their history, in his very first season in professional football. It was a meteoric rise from the amateur ranks of Stowe Boys Club and Sudbury Court, where he’d initially started out as a central defender. On-pitch achievements escalated further still. Distant runners up to Liverpool in that first ever season of top flight football in 1982-83 brought a first England cap that summer. An FA Cup final and a UEFA Cup campaign followed the next season, and of course came the Maracanã. Even that experience was marred by abuse from a section of England’s travelling support. Barnes’s exploits in Rio won him a regular place in the England side during the 1984-85 season, but the emergence of Chris Waddle at Newcastle United saw him back on the periphery of the national side by the summer of ‘85. While his personal form and contribution to the Watford cause never dimmed, the club itself had reached a plateau. Mid-table respectability and fleeting cup runs would not be enough to push his claims to a place in Bobby Robson’s starting line-up. When Watford were comfortably beaten by Tottenham Hotspur and Waddle in the 1987 FA Cup semi-final, it was widely seen as the end of the road for Barnes’ time at Vicarage Road. Both he and his manager Graham Taylor had new horizons from the summer of ‘87. It was felt by outsiders that both had taken the club as far as they possibly could. Barnes himself has admitted that his final four months under Taylor were difficult. Taylor’s Watford had often received a hostile press over the style of play they adopted. Deemed a long-ball side by most, they didn’t always get the credit they deserved. While there was a direct nature to their football, it wasn’t always via a stereotypical centrally delivered aerial ball. It was more often than not supplied from the wide positions. With Barnes to the left and Nigel Callaghan to the right, Watford operated a system which allowed skill and expression within a disciplined and heavily-drilled framework. It was also an early and deliberate form of what is now termed the pressing game. At Liverpool Barnes found total freedom. 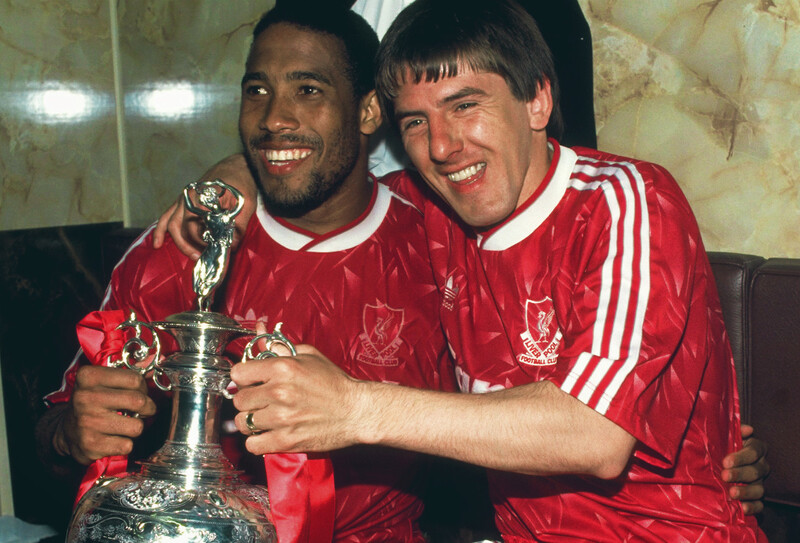 Having felt shackled on the left-wing at Watford, Barnes signed on at Anfield under the impression that he would play a more central role for Kenny Dalglish. When he enquired with his new manager about the position he was earmarked for, Barnes was shocked when informed he’d be on the left-wing at Liverpool too. The position might have remained the same in theory, but this was to be a very different remit to his one at Watford. With Ronnie Whelan moved from his left-midfield position to the left-sided central midfield slot, it meant Barnes was allowed all the cover he needed to break from the left at will. He was gifted the licence to roam, and it reaped massive rewards, both collectively and individually. In his first three seasons at Anfield he won two league titles and an FA Cup. A further FA Cup final and semi-final was lost, and the club came to within seconds of another league title on that tumultuous night at Anfield when Michael Thomas snatched the 1989 title for Arsenal at the last. The league and cup double came so close to being completed in all three of those campaigns. Two FWA Player of the Year awards came Barnes way, as did one PFA variation. Over the course of his first four seasons at Liverpool he scored a remarkable 75 goals, yet rarely did he operate directly in front of goal as an out-and-out striker. 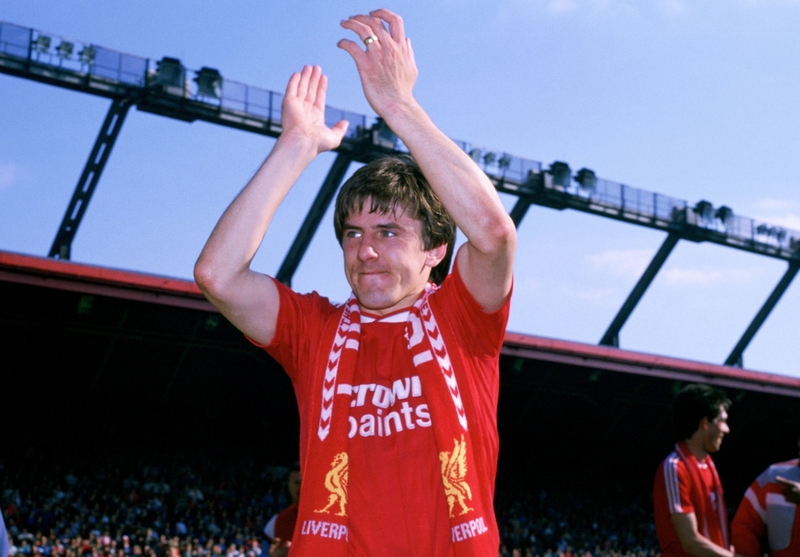 He was Liverpool’s top scorer during the 1989-90 season ahead of Ian Rush, and scored the goal that clinched the title. Barnes was simply a force of nature. Problems were ahead, however. When Dalglish resigned as manager in February 1991 the course of the club changed dramatically. From a position of arguably requiring minor surgery to correct itself, the new manager opted for a fresh revolution instead. Graeme Souness changed too much too soon and Liverpool have never really recovered from the situation of a quarter of a century ago. Barnes’ relationship with Souness soon became strained. A public and negative outburst from Barnes about Souness’s tactics didn’t improve matters and the new manager harboured thoughts of a Liverpool without his star player. Suddenly, after a relatively injury-free career, Barnes faced a succession of problems. Twice rupturing his Achilles tendon during the 1991-92 season, Barnes missed both the FA Cup final and Euro 92. He almost missed as much football as he played between the summers of 1991 and ‘94. Drifting from the England set-up and no longer the Barnes of old, Roy Evans reinvented him somewhat from 1994-95 season onwards. Within a new 3-5-2 formation, Barnes began operating as a ball-playing, deep-lying central midfielder. Acting almost as an advanced sweeper, he enjoyed a new lease of footballing life. With a younger set of teammates to mentor, he was a player reborn. Steve McManaman, Jamie Redknapp, Rob Jones and Robbie Fowler all benefitted from his experience. Barnes became Evans’ ‘manager on the pitch’ and was eventually named club captain. The vision of the new Barnes jarred for some supporters, however. So used to the sight of the physically proportioned Barnes of old and his gazelle-like movements, the new lower centre of gravity version, sat deep and directing what was at times a slower pace of play, was hard to assimilate for those craving the Barnes of those earlier seasons, no matter how effective he was in his new role. Had the rich promise which Evans’ team displayed been transformed into trophies of substance, then the old and new Barnes would have been as celebrated as each other, rather than the heavily titled devotion to the image of the 1987-91 version of him is. Evans’ Liverpool would lift just one piece of silverware however, in the shape of the 1995 League Cup. A lost FA Cup final came in 1996, while a title challenge that faded out a year later was also accompanied by a semi-final defeat in the Cup Winners’ Cup. A team that played some spectacular football just couldn’t find the determined focus of the old Liverpool, or that of the new Manchester United. An ageing Barnes left Liverpool on a free transfer in the summer of 1997, cast as part of the problem rather than part of the solution to Liverpool’s shortcomings. 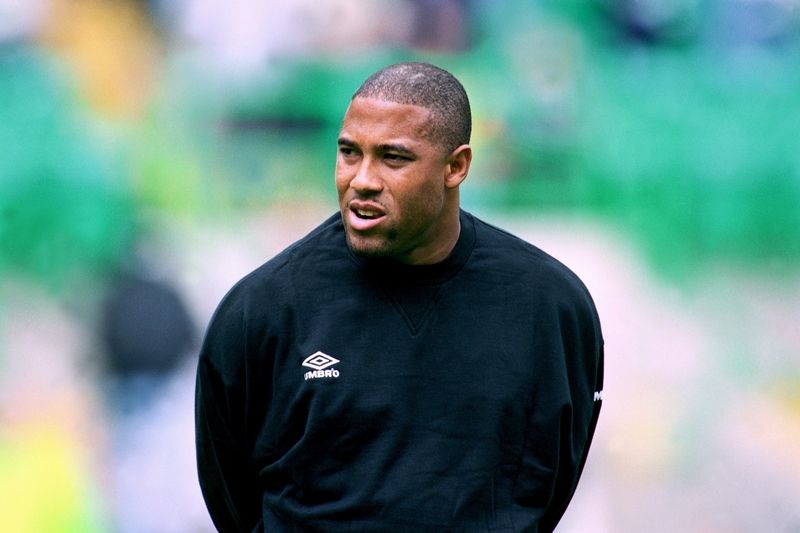 Paul Ince was brought in to be the enforcer that Evans was led to believe his side needed. Barnes, even in his departure from the club, still analytical in his thoughts, was sceptical it would work. He was proved correct. On the brink of signing for Harry Redknapp at West Ham, Barnes received a last minute call from his former manager Dalglish, now at Newcastle United. He headed to the north-east rather than East London and was rewarded with one last FA Cup final and a Champions League campaign. In what was a troubled league season, Barnes was often asked to play centrally, in the role he’d expected to play a decade earlier for Dalglish at Liverpool. He would be the club’s top scorer with just six goals. Soon, Dalglish was once again gone. His successor, Ruud Gullit, cut Barnes adrift along with a number of the players he inherited. One last move came when he signed up for Charlton Athletic’s 1998-99 relegation battle. 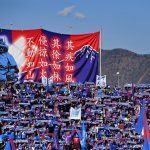 It wasn’t a fight the club would win and Barnes announced his retirement at the season’s end after 18 years in which the game changed dramatically. A coaching career beckoned and many people expected great things. Teaming up for a third time with Dalglish, this time at Celtic in a dream-team ticket, it was a dream that soured quickly. Poor results, capped with an embarrassing cup loss to Inverness Caledonian Thistle, meant that the axe fell on Barnes. Celtic legend Dalglish remained until the summer. An unbeaten spell in charge of the Jamaican national team followed, a job he left to take over at Tranmere Rovers. It was a job which meant he was close to home and family, but with eight defeats in 12 games he was soon jettisoned. Barnes has since been overlooked in his search for further coaching roles, a situation he has questioned several times over whether or not there are racial motives at play. Again, many of his detractors will point to his failures at Celtic and Tranmere as being the root cause of his problems in gaining further employment. Whether Barnes is personally cut out for football management or not, he strikes close to a very raw nerve in the game. The growing ethnic diversity in football on the playing side of the game is simply not matched in coaching terms. It is a situation that the PFA chief executive Gordon Taylor once stated amounted to a “hidden resistance” to black managers. Issues of race and inclusiveness in football have come a long way since Barnes kicked his first professional ball in anger, but there are still glass ceilings to be smashed. Barnes and his generation aren’t reaping the rewards of the barriers they helped topple as players. It might take another generation or two before that starts to change to the levels it has on the playing side of things. There will be an evolution, rather than a revolution. 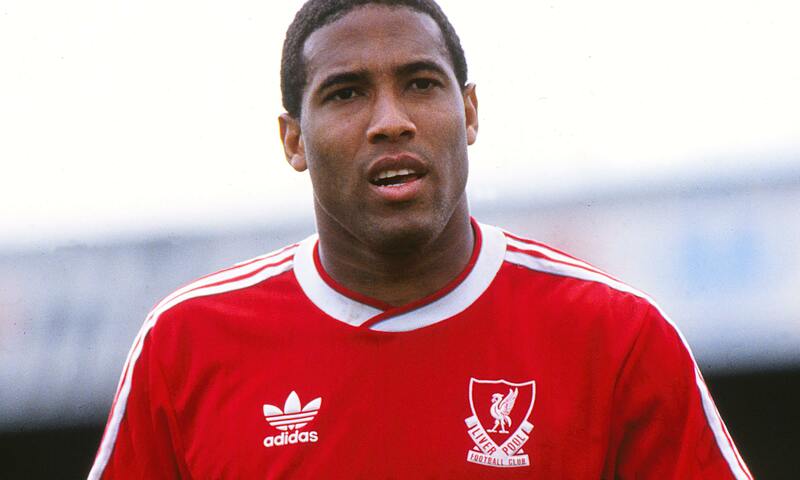 Come the evolution, it will be men like John Barnes who will be responsible for making it happen. Imperious and inspirational as a player, he is a man who should be celebrated far widely than he is.